Should We Allow Cheap Gas to Kill Alternative Energy Vehicles – Again? Regardless of how long it lasts, it seems like everyone is thrilled with the current reduction in price of gasoline. But how does that savings stand up to the increasing cost of climate change? One or two super storms could easily wipe out any savings and ultimately increase our taxes for disaster relief. Are we just taking money out of one pocket to put in the other? Gasoline automobile manufacturers are already heralding the demise of alternative energy vehicles by saying “This is not the time for alternatives.” Sales of gas guzzlers are up again. Are we really that short sighted? If we truly do price alternatives out of the market, what have we done? 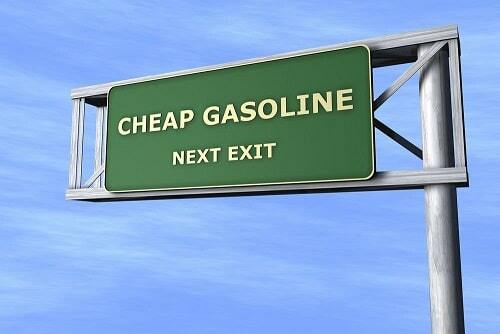 Are we making a full-on commitment to go with carbon fueled vehicles until we run out of “cheap” fuel? The President of the United States says we cannot burn up all the hydrocarbon energy that is in the ground without taking the global temperature up 2 degrees Centigrade. The vast majority of the world’s climatologists agree that an increase over 2 degrees Centigrade will result in a runaway greenhouse effect. In the past few years we have seen fracking take off all over the U.S. Aside from the questions of safety and long-term pollution, there is a greater issue. It’s flooding the market with cheap hydrocarbon fuels. The good news for the U.S. is that it is much less dependent on imports from unstable, dictatorial, or downright adversarial countries. The bad news is that carbon fuel itself is threatening our future no matter how cheap or domestically available it is. In other words, there’s a much bigger issue at stake. If cheap carbon fuel puts alternatives out of business, what kind of vehicles will the emerging markets buy? And won’t that just accelerate the process with more exhaust from an ever-increasing number of hydrocarbon burning vehicles? Don’t they have a right to enjoy our standard of living too, even if it accelerates global climate change? We often hear the argument, “But where are those electric cars getting their power from if not predominately fossil fueled power plants anyway?” That may be true in the short run, but won’t it be easier to produce sustainable electricity than to change all those fossil fuel vehicles? So, it all comes down to saving alternative energy vehicles by making them more attractive than carbon burners that consume cheap gas. When gas was expensive, alternative energy vehicles had an advantage. If you didn’t invest to save the environment, you might do it to save a few bucks. But in this particular moment in time, gas is cheap, so why spend our good money to protect the environment? Don’t get us wrong, we are also thrilled with the lower cost of fuel but are very concerned with the implications to the market for the alternatives. We think alternative energy vehicle technology, like other technologies that have improved our lives such as the railroads and the interstate highway system, should be subsidized to at least be price comparative to fossil fuel vehicles. We need this technology to flourish to reduce carbon emissions. Now that gas is cheaper, isn’t it time to use those savings to keep alternatives alive and well so they will be the choice of the emerging world and a potential savior for our environment?